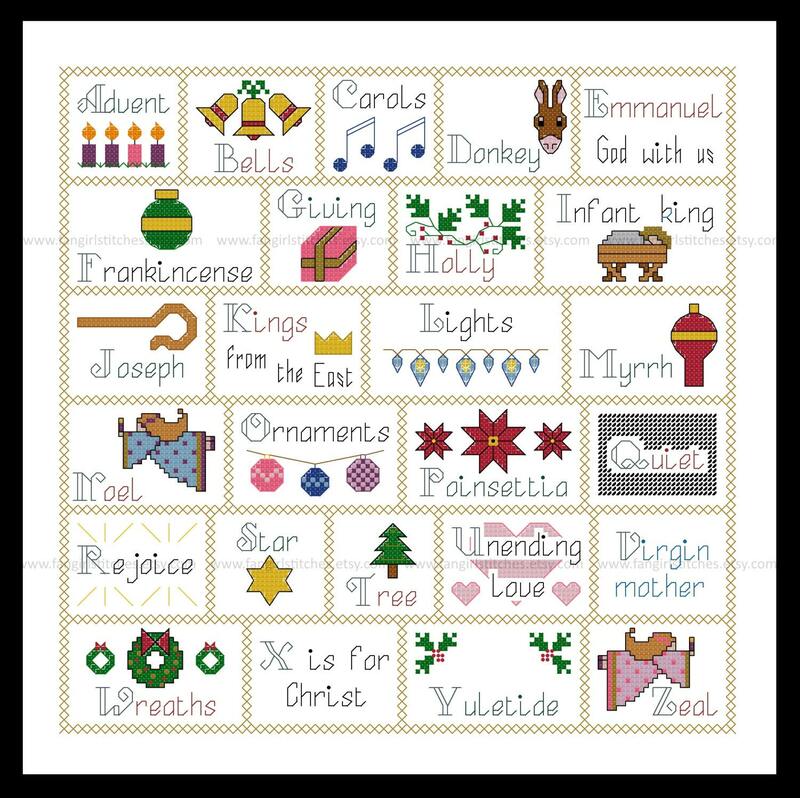 Celebrate all things Christmas-y with the ultimate Christmas Alphabet Cross Stitch pattern. 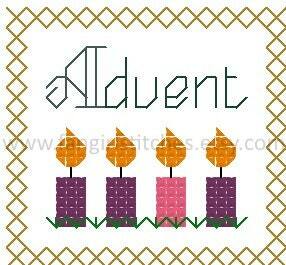 A is for Advent, B is for bells, C is for carols. 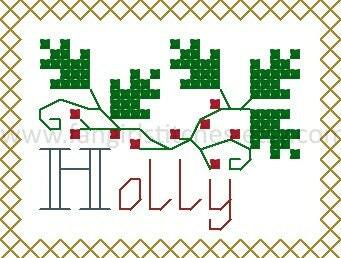 This design includes whole crosses, half-stitches, backstitches, and french knots, and is suitable for intermediate stitchers. 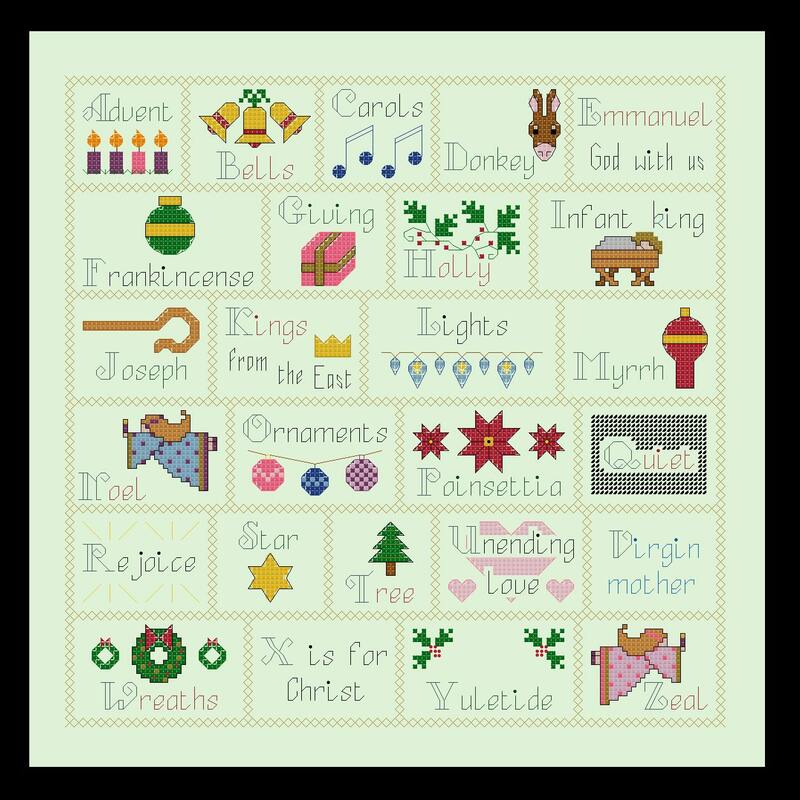 The pattern comes with a colour chart, including a guide for starting and finishing your project. The floss key is DMC and Anchor, although of course you can adapt it to suit your preferred brand of threads.